Catholic Distance University offers many courses online that meet our requirements. 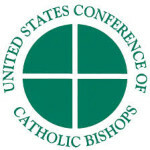 Once you have completed locally the four Initial Formation Core Courses (Creed, Prayer, Sacraments, Morality) you may take advantage of the wide selection of CDU online continuing education courses and seminars to enrich yourself personally or to renew certification. Click Here to view the course descriptions and register. Be sure to use the Brooklyn Promo Code BROOKLYNMEM17 for the reduced tuition. It is offered free of charge to all interested individuals. It will continue to serve the needs of diocesan leaders. Many of the webinars and Q&A’s are also of interest to parish catechetical leaders and catechists, Catholic school principals and teachers, and other individuals who provide faith formation to diverse age groups and settings. My Catholic Faith Delivered is far more than an online course. It is a platform that also houses the Certification Management System. Our system tracks and stores progress, reports, and certifications for yourself, your students and/or your catechists. It also enables group administrators to post notifications and discussions for their groups or classes. In other words, paper trails and file cabinets are a thing of the past! Administrators are now able to create and manage their classes 24/7 with the ease and click of a button. Our courses provide in-depth learning programs and video tutorials on the web for all levels of knowledge of the Catholic faith. This is accomplished by combining Catholic content with innovative technology. It is the ideal program for a teacher or a catechist looking for resources and courses, and for a Catholic who simply wants a better understanding of the faith. These fantastic courses are available on the Internet anytime, anywhere-making learning convenient and fun. Our dynamic courses feature engaging lessons, interactive activities, games, voiceovers, and immediate assessments that give real-time feedback on learner progress. Many of our courses are available in Spanish, as well! Go to www.mycatholicfaithdelivered.com for more information.